in english it’s a persimmon. in french it’s a kaki. in latin it’s diospyros kaki. which explains the french. but none of them explains my husband’s calling them, in a rare moment of verbal confusion, “kaka,” which really, i think, misses the point. today a new friend stopped by, a fellow stanford alumna, a fellow engaged human being who likes just enough of the same things as i do, and knows just enough about things i don’t know anything about, and who makes good conversation over tea. 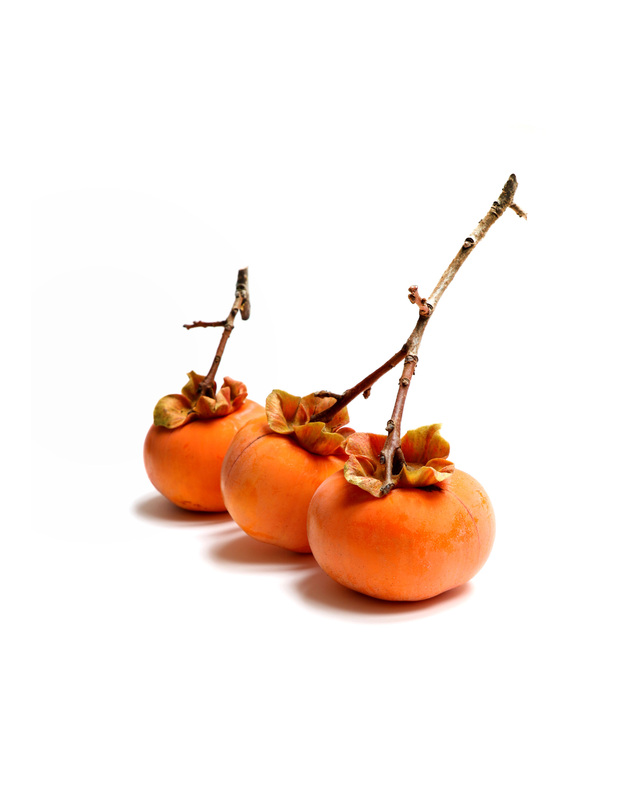 she brought me these three persimmons/kaki/kaka. it checked all my boxes. aesthetically beautiful. delicious. disposable. unique. custom chosen. and of california origin. truly some of the most talented and intuitive gift-giving i’ve run across in recent memory. thank you, sally. i hope i was half the hostess that you were a guest.